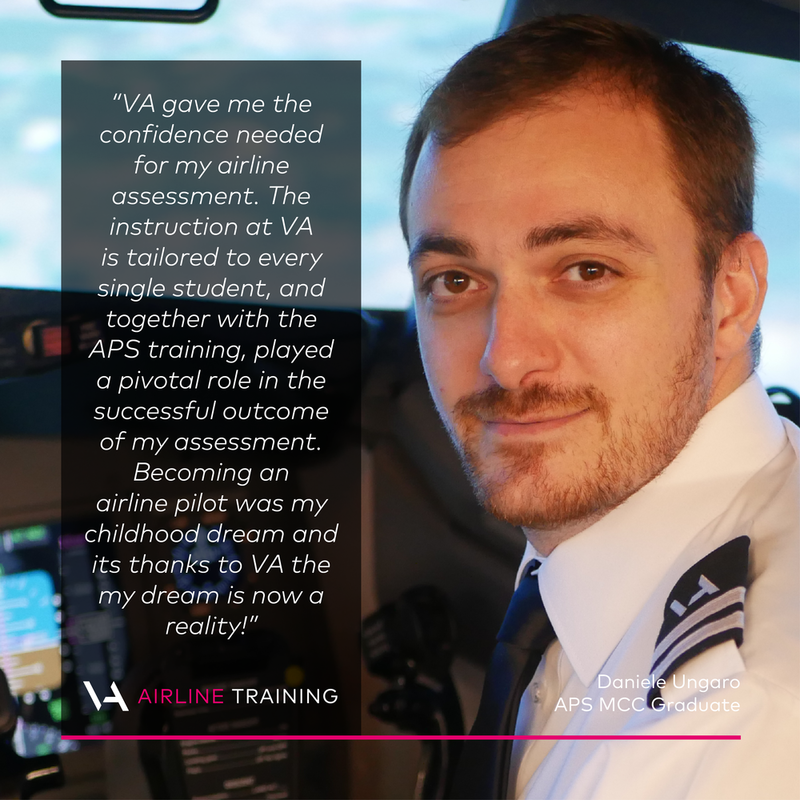 — Thomas Hulme graduated from VA and joined Ryanair. 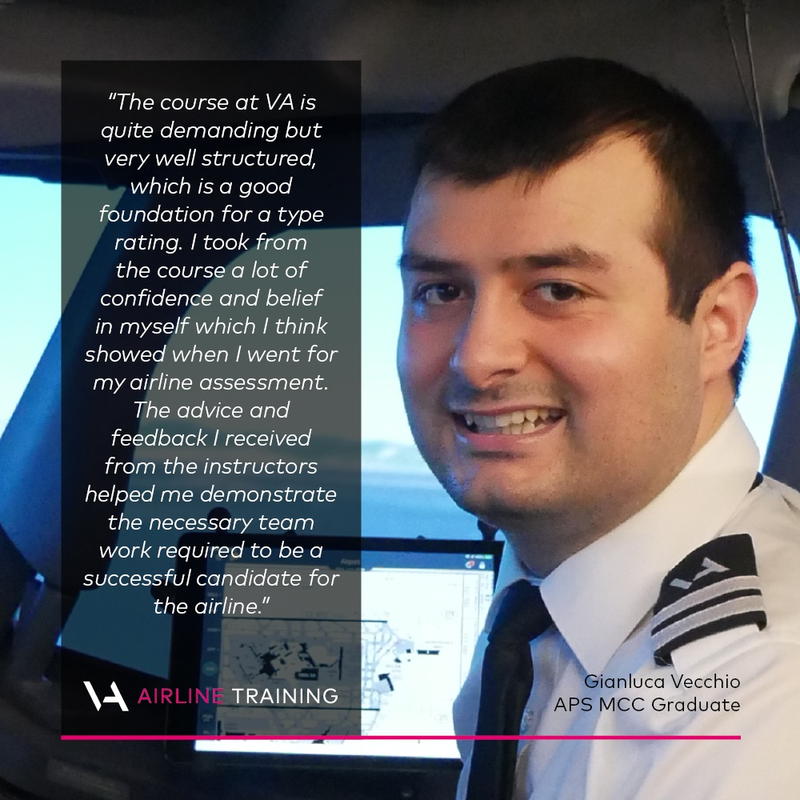 Virtual Aviation was recommended to me by several friends who had completed the Airline Ready course with them previously. 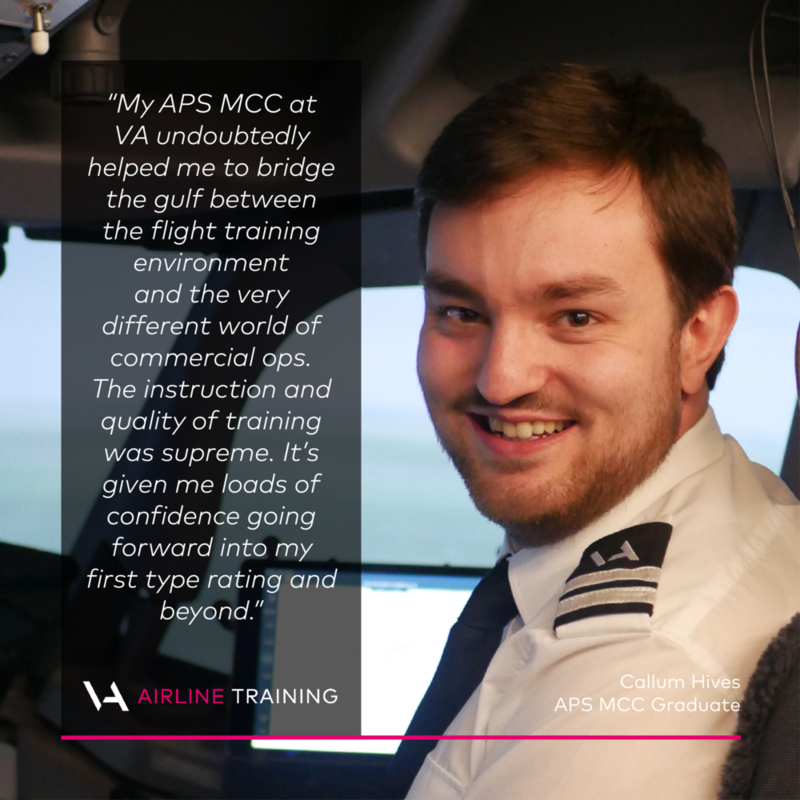 Before deciding to proceed with them I thoroughly researched other providers from all cost ranges and locations - none seemed as welcoming or supportive as the Virtual Aviation team. As soon as I’d experienced my preview visit I was certain of my choice. 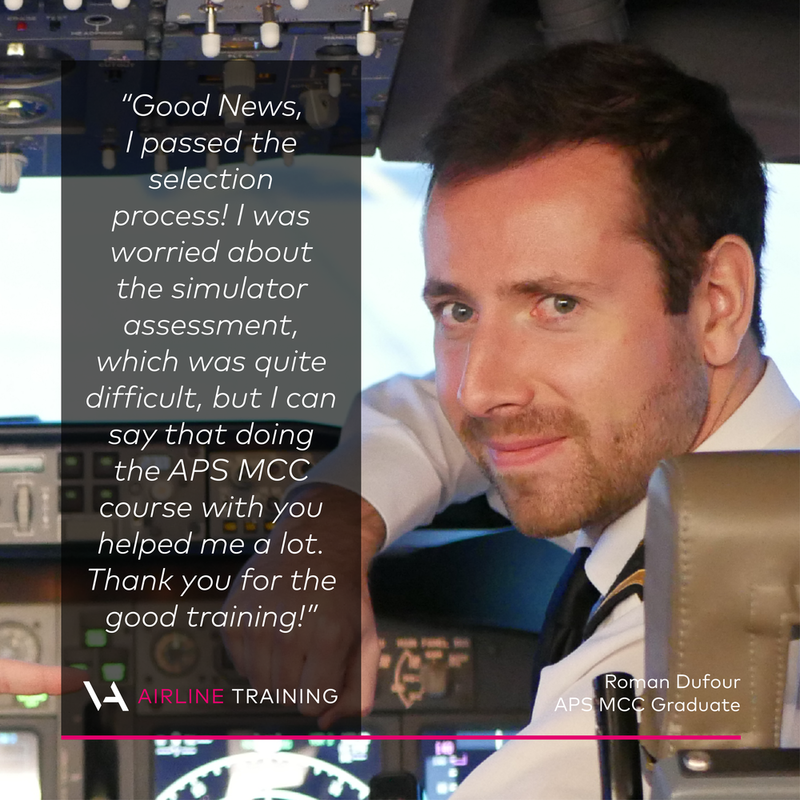 The simulator is fantastic and the instructors are all incredibly experienced airline pilots, many of whom are still active in airlines. 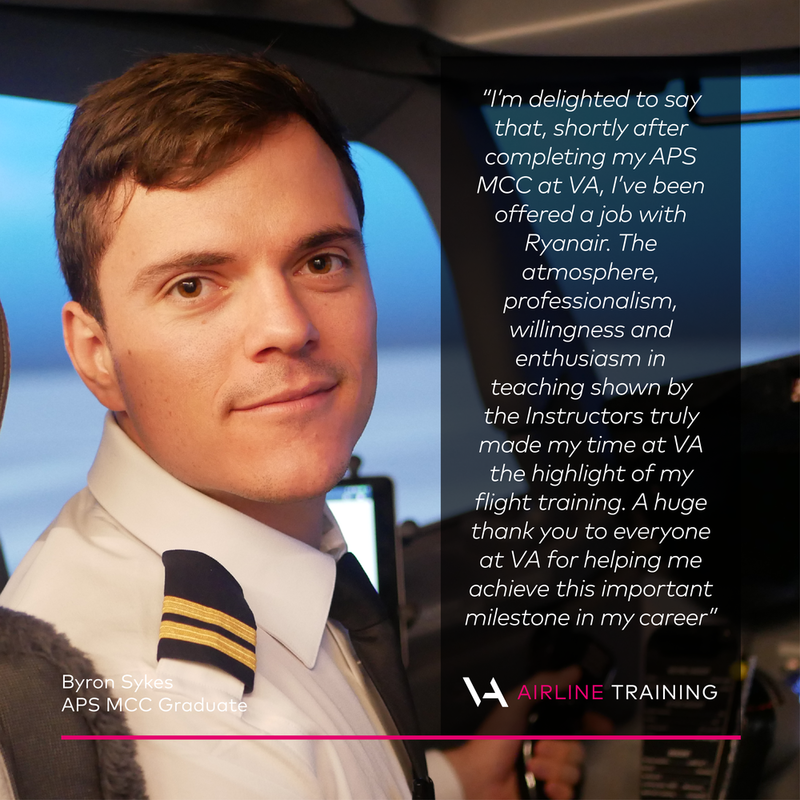 The emphasis VA has put on the material to study for this course is vital as we covered so much more than I had anticipated. 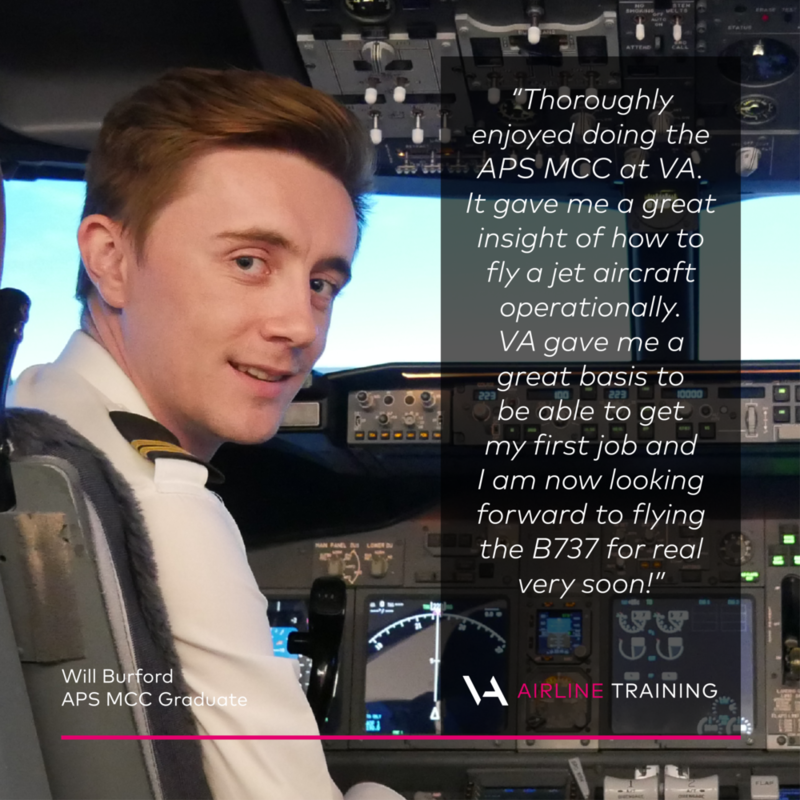 As soon as I enrolled on the website I had access to all the study material required for the entire course, including technical aircraft information and cockpit displays for familiarisation. They’re always quick to respond to any queries via phone or email and the information on the website is clear and concise. 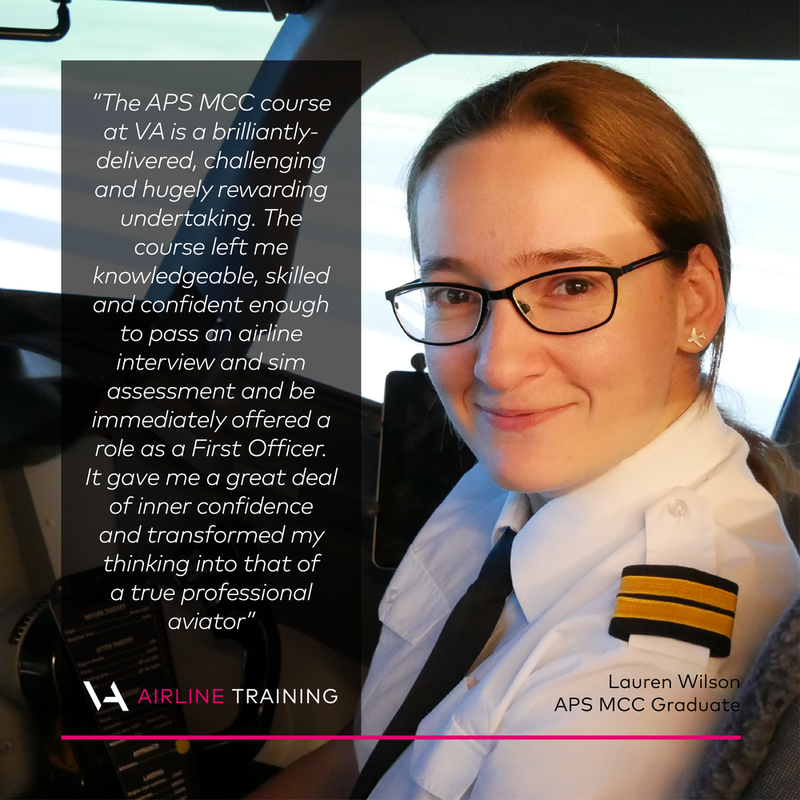 The APS MCC course is very well thought out and arranged, making it quite demanding at constant pace. It does NOT go up and down neither in speed nor in workload demands – allowing for full rest and preparation before each simulator session. 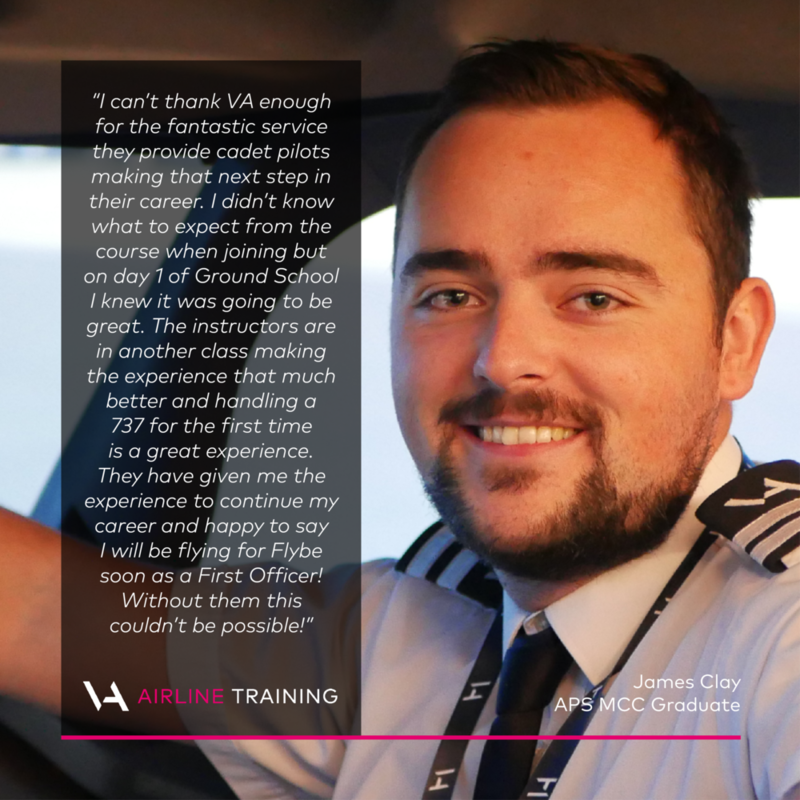 I found every instructor and operations team member at VA to be very invested on us cadets – everyone certainly gave us lots to work with and to work on. 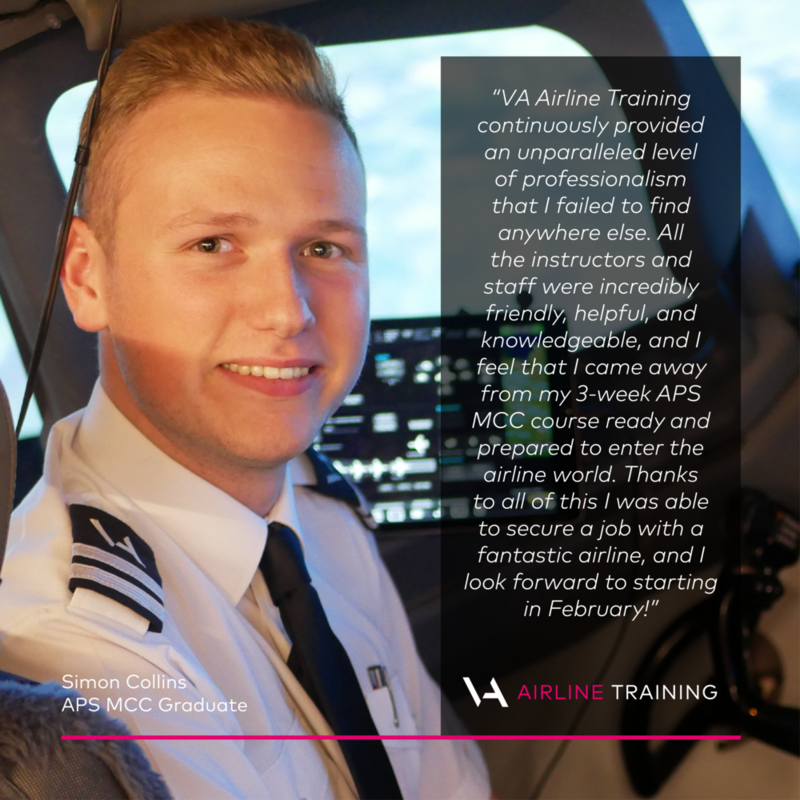 The different styles among instructors and support staff are something to highlight, since as airline pilots we will not only be flying with different captains every day but will also be working with a very diverse staff in operations as well. 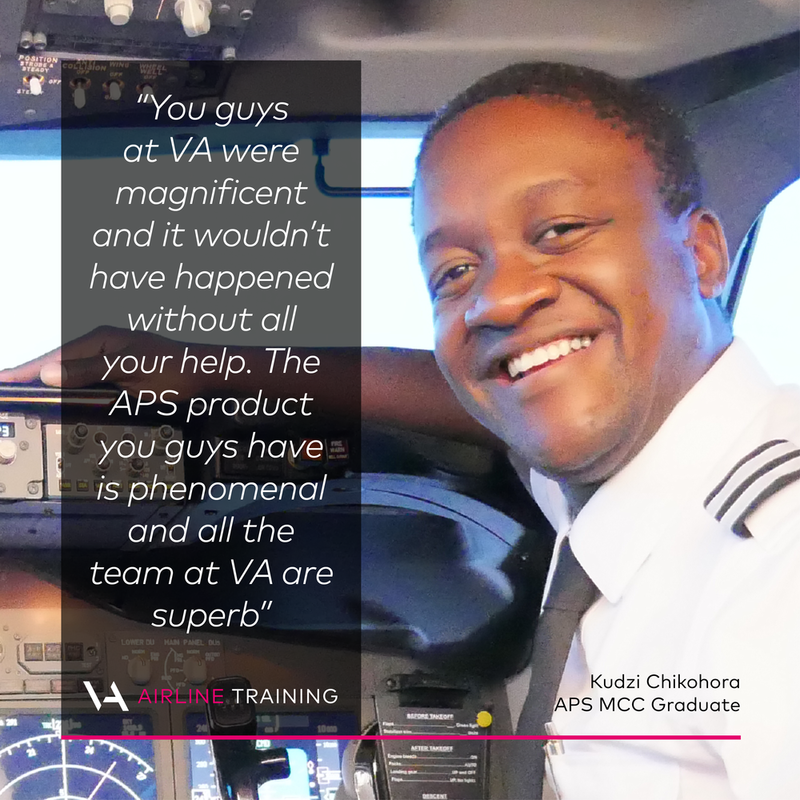 The VA team work very well together add to the dynamics whenever possible. The manuals and materials are very clear and to the point and are neither light nor overwhelming. I am keeping them close and have been using them as much as my ATPL ground school notes to prepare for interviews.